Haptix senses your fingers over any surface. Does touch technology have to be limited to fixed surfaces, and mostly screens at that? That question sparked a continuing discussion between Darren Lim and Lai Xue. Still, the “touch” discussion was mostly theoretical until Microsoft released Windows 8, a touch-oriented operating system that doesn’t work very well for people who don’t have touch-enabled laptops. And even people who do have touchscreens often suffer from sore arms, Lim says, from reaching out and touching a screen all day long. So the two engineers started working on the problem in earnest. Then just a few months ago, they applied and were accepted to The Iron Yard accelerator in Greenville, South Carolina, which kicked their project into high gear. The result: Haptix, a sensor that enables multitouch on any surface, such as a screen, keyboard, or table. 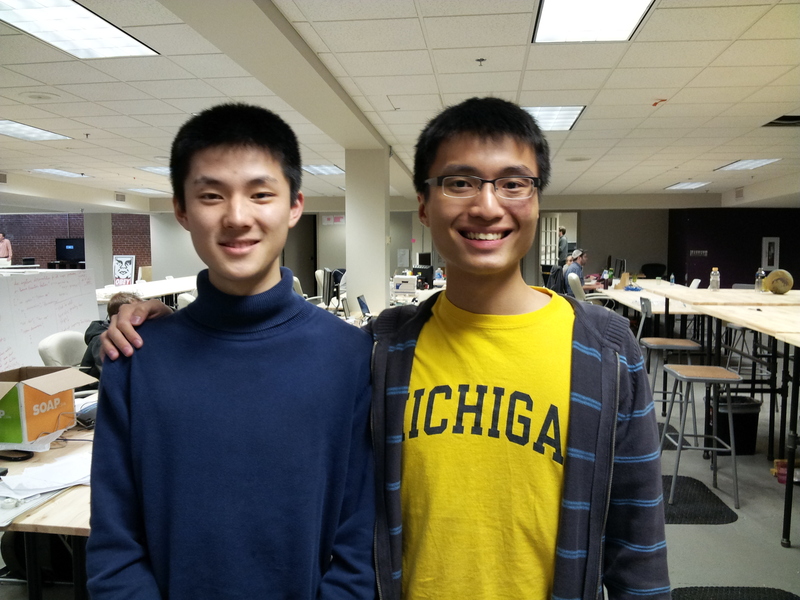 The pair will be bringing a prototype to MAKE’s 2013 Hardware Innovation Workshop, set for May 14-15, to compete in the “pitches with prototypes” contest.A dozen companies have submitted hardware projects and workshop attendees will vote for the most interesting and innovative ideas. The winner will receive a slot on the Maker Faire Innovation Stage to present their prototype the following weekend. The first version of Haptix was large and kind of clunky, but the pair have been moving swiftly to more professional-looking hardware: “much smaller parts and much nicer casing,” Lim says. Ideally Haptix will be a small bar that users can put on the top of their laptop screen to enable multitouch on both their keyboards and their screens (if they don’t have it already). And it won’t be restricted to laptops: you should be able to place Haptix on any flat surface — such as a screen, a table, or a keyboard — and transform that surface into a multitouch interface. Haptix is more than a glorified trackpad. Even before your fingers touch the surface, blobs register on the screen so that you know where specifically to tap, just like a multitouch screen. The big picture: Lim and Xue are hoping to move multitouch away from screens to any non-screen, allowing for a touch experience that does not obstruct what you’re looking at, and lets your arm rest on a surface instead of holding it vertically (for multitouch laptops) or waving it around (for gesture control). 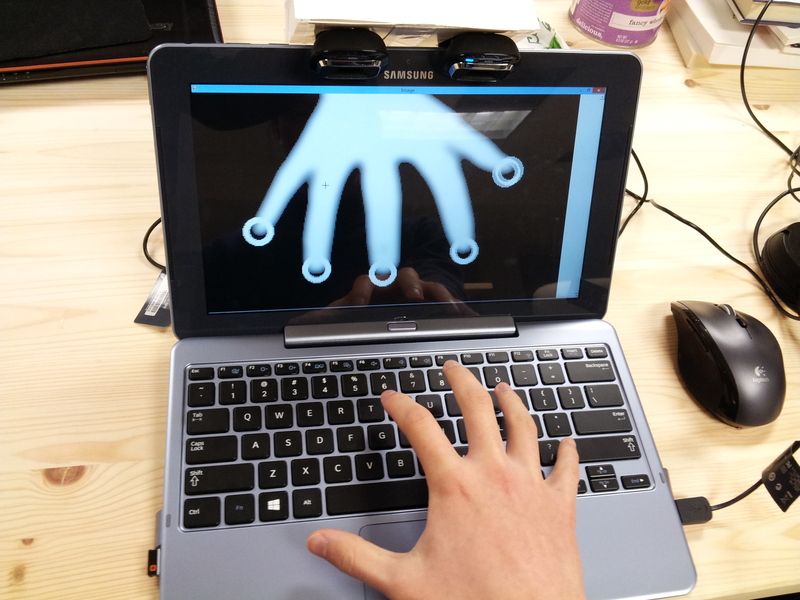 In the video prototype below, Darren Lim demonstrates how Haptix can be used to layer a multitouch experience over a keyboard. Touch here to register for the MAKE Hardware Innovation Workshop.